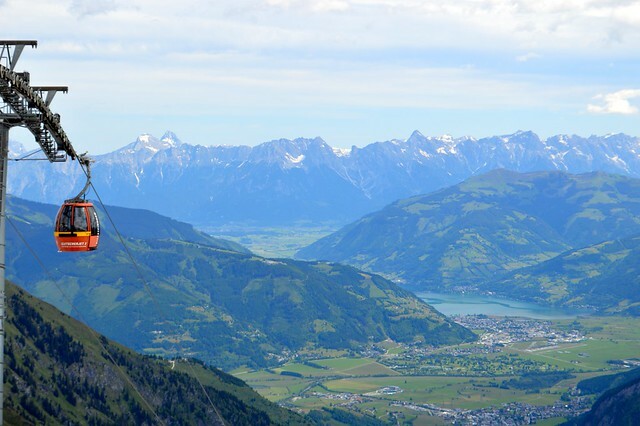 After a not so ideal start to our summer holiday this year (our car had issues and we were stranded in Germany for a weekend) we finally got stuck into some sightseeing and exploring what Zell am See and the surroundings areas such as Kaprun had to offer. 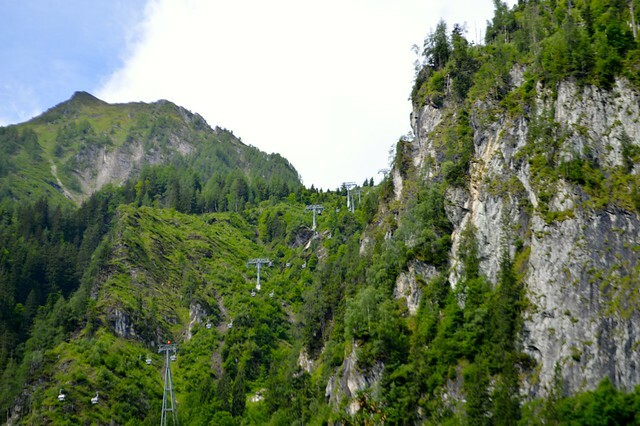 Martyn and I can't resist a cable car and we went on plenty on our trip to Austria last year. We have visited the Kitzsteinhorn before but on a very cloudy day with poor visibility so we weren't able to make the most of the wonderful views you get once you have ascended the Kitzsteinhorn glacier. What I loved about my second visit was that Martyn and I were able to experience a winter wonderland even in summer. The temperature reached 27° at the base but it was closer to 9° on the glacier. We were a little unlucky with the weather again, we were only able to go up two levels because a storm was brewing and there were 100kpm winds at the top so it wasn't safe for the final cable car to operate. 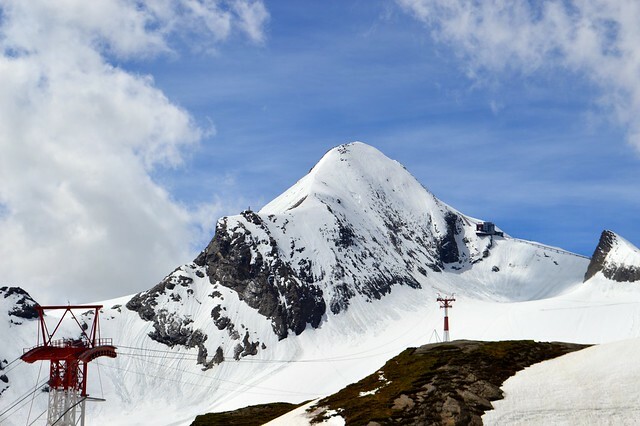 The Kitzsteinhorn glacier reaches 3203m and can be used for skiing or snowboarding almost all year round. It is covered in snow ten months a year. Martyn and I enjoyed riding around in the cable cars, exploring the glacier, taking in the views and tucking in to some apple strudel in the cafe. We also enjoyed sliding down the snow slide on a sled! 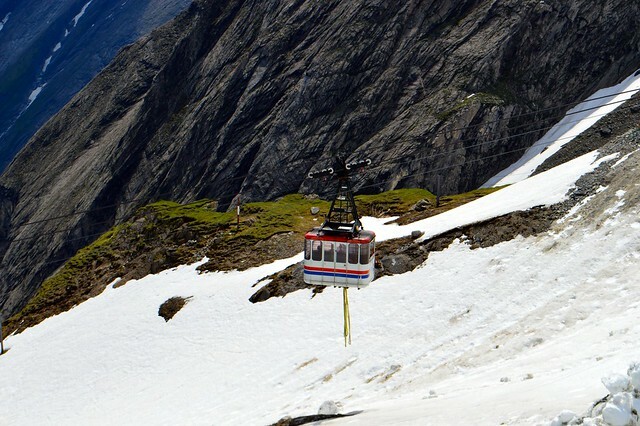 I think a lot of people only think to visit this region to ski but it is a perfect destination for a summer holiday and there's lots to do on the glacier even if you aren't sporty. If the weather is a good you can visit the exhibition "Gipfelwelt 3000". 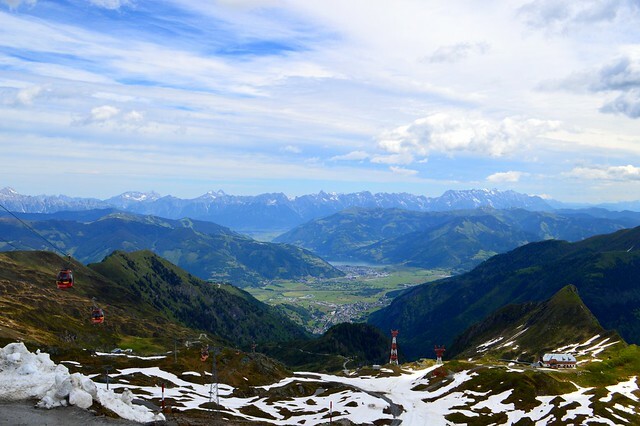 You can walk into the mountain to find out more about the history of the Kitzsteinhorn and flora and fauna to be found there and go out on to the viewing platform at an altitude of 3000m. 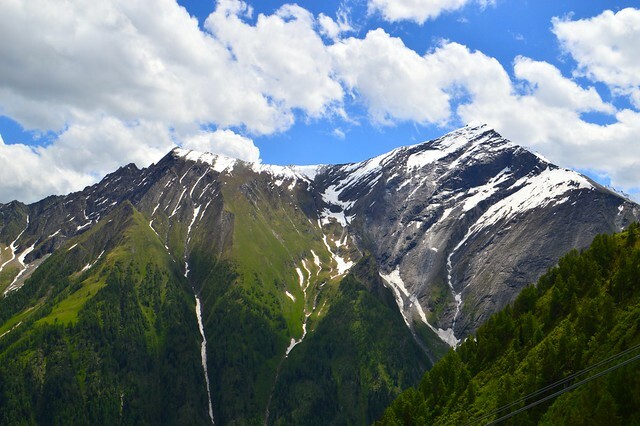 I highly recommend a visit to the Kitzsteinhorn for phenomenal alpine views deep into the Hohe Tauern National Park. Stunning! What fantastic photos. The scenery looks absolutely stunning. Wish I could go. Austria is such a beautiful place! If you make a return trip, I recommend Wolfgangsee - a beautiful lake close to Salzburg. Such a stunning place to explore. I love Austria and views like this are one of the many reasons why. Oh, and strudel of course! What a beautiful place, I love Austria! I have never been to Austria before but I remember that I spent many nights looking through a Lonely Planet Guide and one of the top places was Austria, it is so beautiful. 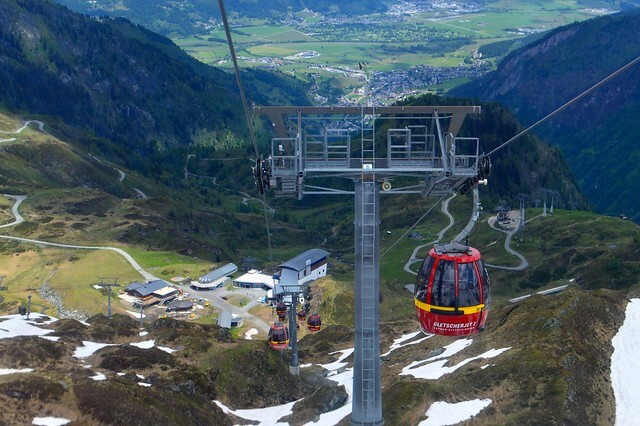 Your photos are making me want to go back to Switzerland so much - I've never been to Austria (actually, I think I may have when I was really young), but my parents and I went to Switzerland a lot in my early to mid teens and I bloody love a good cable car. Maybe I need to look into going to Austria too!